If there's one thing Mommies have in common, it's being obsessed with keeping everything inside our homes tidy and in order. As much as possible, we want everything dustless and safe for our little one's to touch. So what I do, I make sure that I sterilize their toys, wipe the tables and kitchen counters so many times in a day and even put their clothes straight to the laundry basket after one use. 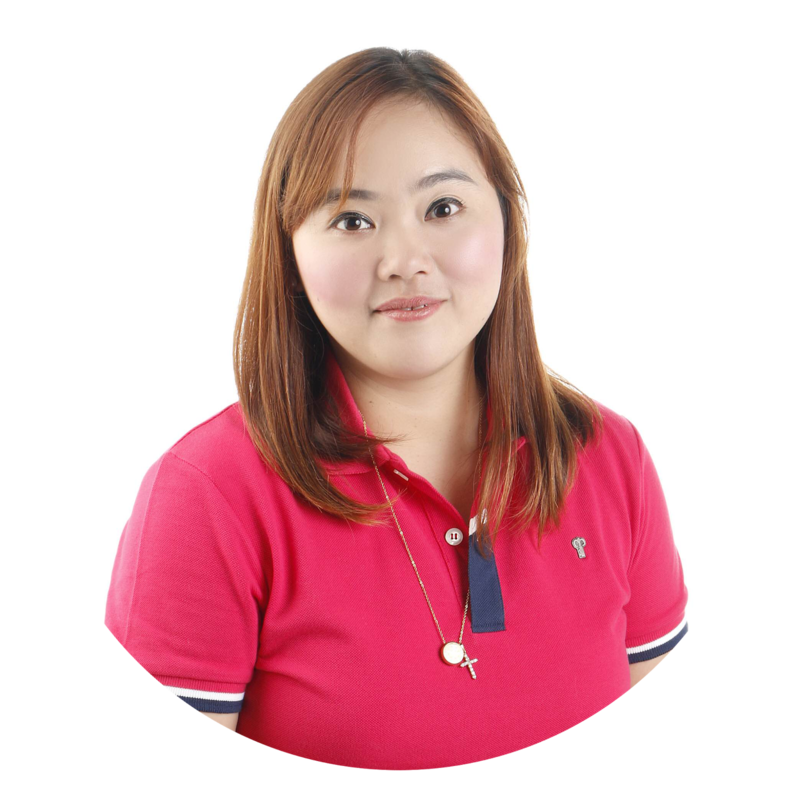 Now, the challenge for me is to find a product that will be a staple in our home when it comes to 100% linis. There are so many products out in the market that promises that clean and safe finish but in reality, which one of them tells the truth? So I was invited to a bloggers event that had household cleaning products as first on the agenda. Being a Mom to two young kids who would like to keep our household clean all the time, I immediately jumped at the chance. 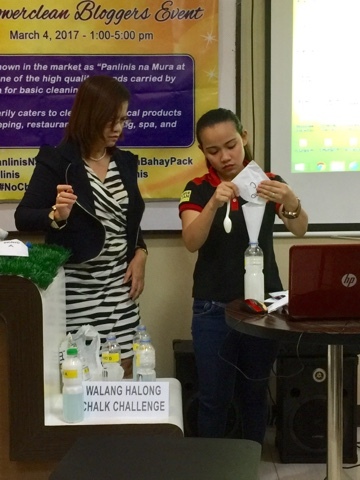 PowerClean claims to be a "Panlinis na Mura at Dekalidad pa!" (Affordable and High-quality). Carried by Oxychem Corporation, PowerClean caters to cleaning chemical products for laundry, housekeeping, restraurant, car cleaning, spa, and swimming pool. Their products has been around for 12 years since it was founded in 2004. Needless to say, they have under their name a distinguished roster of companies that have been their loyal customers since. And the way I understand it,PowerClean now aims to enter our homes to provide us with a safe and eco-friendly surroundings. 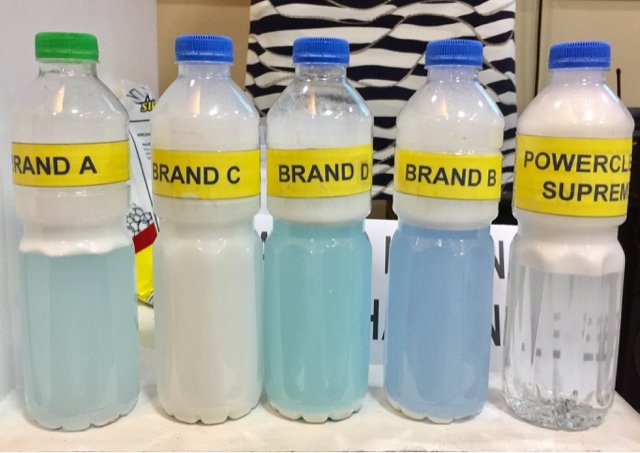 At the PowerClean Bloggers Event, the PowerClean Team presented us with different brands (of course the brands were anonymous) to test which one of their detergents had the least chalk. You see, chalk is present in all these products except PowerClean uses the most high-quality brand that won't break your machines. PowerClean won the challenge hands-down! 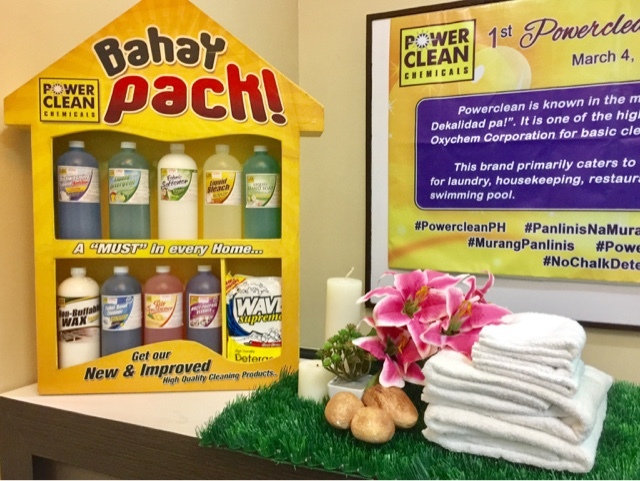 Since they are known to provide cleaning solutions to big establishments, PowerClean under Oxychem now aims to bring their quality cleaning products to the homes of every Juan. So let me introduce to you PowerClean's Bahay Pack. 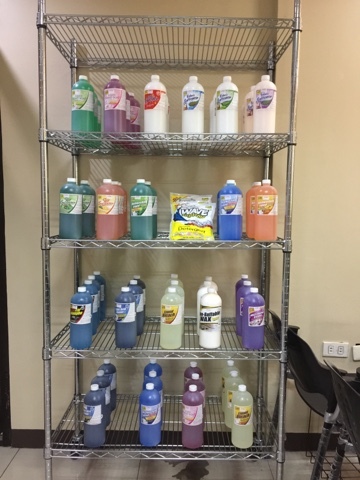 For only P644.10 (Pesos), you will get to have Wave Supreme, Liquid Bleach, Fabric Softener, Liquid Detergent, Dishwashing Liquid, Toilet-Bowl Cleaner, Multi-purpose Cleaner, Air Freshener, Buffalo Emulsion Wax and Glass Cleaner. 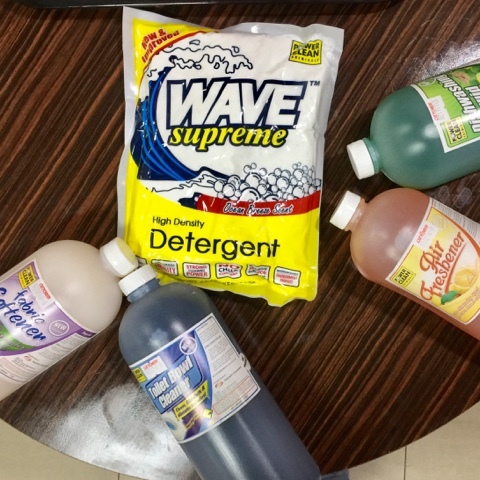 I was able to take home Wave Supreme, their laundry detergent which is by the way, a super need in our household. The same day, I decided to use it on my clothes and on our washing machine. • Fresh smell - my clothes smell like they're newly washed the whole day. 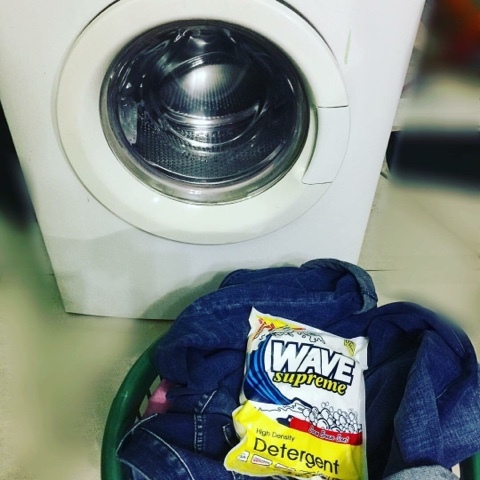 • Sulit Size - the 1 kilo wave detergent was able to last for more than a week which usually doesn't happen in our home. You see, one teaspoon/scoop of Wave is enough to wash my 3 days worth of house clothes. Bang for you buck indeed! 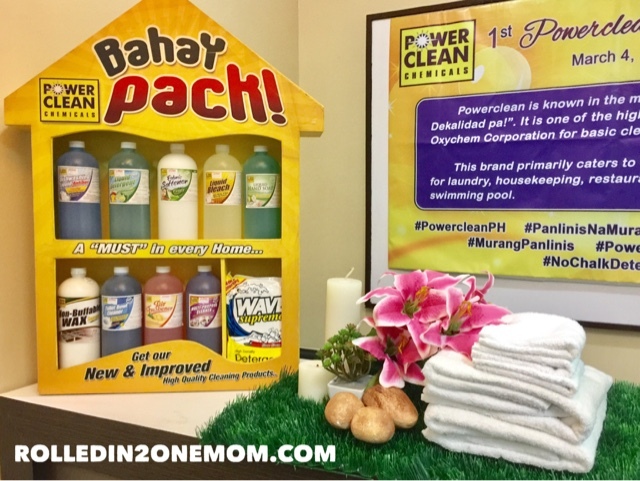 I still have a lot of PowerClean products to try, I haven't even started with the orhers yet but so far, with what I've seen from the demo and my experience in using Wave Laundry Detergent, I must say, Bahay Pack deserve ⭐️⭐️⭐️⭐️⭐️. I will post more about PowerClean soon! 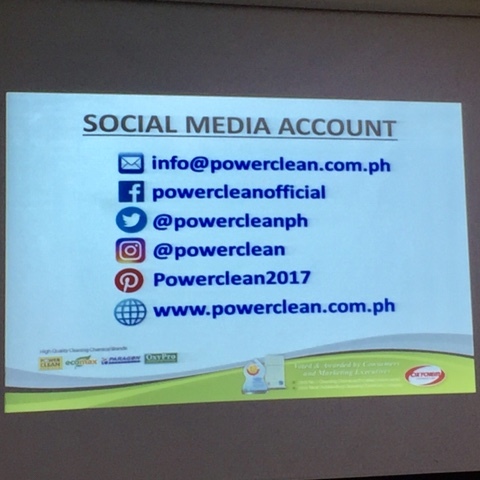 Know more about PowerClean and Oxychem products by following their social media accounts too!